My journey will take me from London to Dallas, to Santiago and Punta Arenas on commercial airlines commencing December 30th or 31st 2011. From Punta await availability on a Russian air freighter to Union Glacier (approx 4 days) subject to weather. Union Glacier, acclimitisation, equipment testing etc., 4 – 5 days. We are at this time staying adjacent to Antarctic Logistics Expeditions’ (ALE) Antarctic summer base. When appropriate the team and all the equipment will be air lifted with twin otter aircraft onto the Antarctic plateau, (circa 10,000 feet) for altitude acclimitisation, 3 – 4 days. Once the team is ready and fit, further airlift to 89 degrees S by twin otter aircraft. Trek to South Pole unsupported, subject to weather, 8 – 12 days. 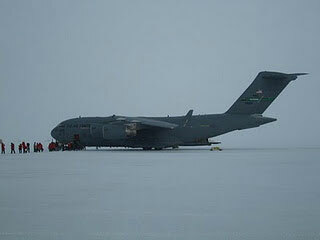 Over night at the Pole, await air lift back to Union Glacier, air freighter transport back to Punta and thus home. Duration of trip approximately 4 weeks. 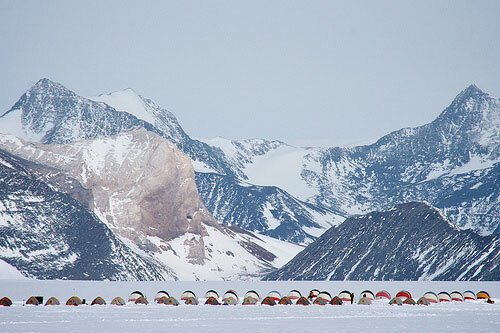 The main Antarctic camp is located in the southern Ellsworth Mountains, on the broad expanse of Union Glacier. The setting is spectacular. The majestic peaks rise in all directions. It is 1,883 miles (3030km) from the southern tip of Chile and a stone’s throw from Mount Vinson, the highest peak in Antarctica. Our nearest neighbours are at the South Pole, just over 600 miles (1000km) away. Our geographic location is 79°46′S 82°52′W. And our elevation 2, 297ft (700m) above sea level. Union Glacier Camp is only accessible by air and your journey begins with a 4 π hour flight from Punta Arenas, Chile. Our wheeled aircraft lands on a naturally-occurring ice runway on the Union Glacier, where you take your first steps in Antarctica. •At the South Pole temperatures rarely climb above -13F (-25C) with light winds and wind chill of -40F (-40C). •Skiers heading to the South Pole should prepare for extreme temperatures -40F (-40C) and severe storms. Today is a day to acclimatise to Antarctic conditions and become familiar with expedition equipment. We will review expedition logistics with our guide, go for a ski and prepare for our mini-expedition. We fly by ski aircraft to 89°S, 111k from the South Pole. As the aircraft disappears from view, we are struck by the stark beauty and emptiness of this place. There is nothing but snow and wide horizons in all directions. We ski a short distance, or camp at our drop-off point to acclimatize to the extreme cold and altitude. We begin our trek south, a self-sufficient team ‘man-hauling’ all of our equipment and supplies. 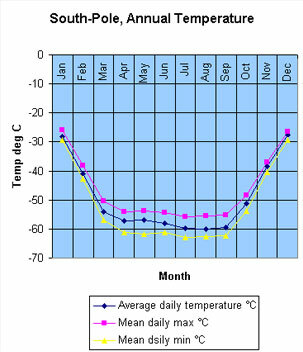 We start slowly to acclimatise, gradually increasing our travel-time to about 8 hours a day. The journey is physically demanding. Our sleds weigh approximately 66lb (30kg) and the snow may be sculpted by the wind into steep ridges called “sastrugi”, adding to the challenge. As on all expeditions, success is a team effort. The group will travel together and participants will be expected to help set up camp and prepare meals at the end of the day. The Amundsen-Scott research station will be visible from about 15 miles (24km) out – those last few miles can seem the longest! Hopefully, the final steps to our goal – the Geographic South Pole – and the most southerly point on Earth. I cant wait to feel the satisfaction of having arrived here through my own effort and reflect on how it must have felt to stand in this place one hundred years ago, with only the sound of the wind and an endless expanse of white stretching northward in all directions. We will set up camp in the designated camping area while waiting for our pick-up by ANI ski aircraft. The completion of this incredible journey will be the return flight to Union Glacier over the polar plateau. Once back at Union Glacier Camp we will enjoy a celebration dinner and toast our wonderful achievement. We have journeyed overland to the Pole, joining an elite group who have challenged the ‘real Antarctica’ of polar explorers.